One can hold one of two opinions about the existence of our universe and the things it contains. The first is that everything exists because of some freak accident; the second is that everything that exists was predestined to happen. We obviously believe the latter to be true. Physicists would agree that from the moment the Big Bang (or whatever other event marked the beginning of our universe) took place, the specific formation of our universe was predestined to happen. Think of it, our Sun and Earth was always going to come into existence exactly where it is even though the catalyst for this event took place billions of years ago. We are able to predict weather patterns, accurately chart the Earths rotation around the Sun, and even predict the reversal of the Earths magnetic field. Everything in our Universe is predestined to happen in one way or another because everything contains an element of predictability. Another important aspect of our Universe is that everything undergoes an evolutionary process encompassing a beginning and end. A Star begins its life as a clump of material that collapses under its own weight to form a swirling ball of heat, it then evolves over time until it becomes an actual star, and ends when it burns all its available gas. Our Earth evolved into being under similar circumstances. Everything in our universe undergoes an evolutionary process that encompasses a beginning and end. On the surface everything could appear to be part of some random event but on closer inspection there appears to be a pattern to existence. Even science would agree that the conditions for life to develop on Earth are beyond a mere chance coincidence (its called the Goldylocks Theory), in fact the odds that the factors that allow life to develop have occurred through a freak accident is now seen as close to impossible. That is not to say that life could not exist in other parts of our universe, in fact it probably does, but the odds of that being a random event would be just as infeasable as ours. There is a common agreement in spiritual circles that our universe exists to facilitate life; conversely, many, especially in the field of science, insinuate this is an arrogant viewpoint. Nevertheless, if we examine the miracle of life we must acknowledge it is a truly special thing. Mankind is not a rock traveling through space or a piece of metal logged in the surface of some astral body, we are a thinking rational being. A conscious being can ask itself 'why do I exist', and if the amazement of this does not grab you then you are undoubtedly taking life for granted. Even if you accept that our mind is a physical instrument that is contained within the brain, one must ask "how can a series of neurological impulses produce a thinking ration being capable of gaining mastery over the universe it lives in?" We were brought into existence to fulfil a specific purpose and it is identifying this purpose that is the primary focus of the Universal Mind Organisation. Darwin was the first to notice that life is caught in an evolutionary cycle. Unlike many other spiritual philosophies that mock the theory of evolution we embrace these observations. In fact evolutionionry theory adds weight to our core teaching, the theory of opposites. Imagine that an asteroid hits the Earth and mankind is somehow erased from existence. Evolution would suggest that given enough time a humanoid would eventually reemerge on the surface of Earth. Why? Because life follows a set evolutionary pattern, it is not random at all. Life evolves from simple to complex forms of life over a lengthy period. Mankind appears at the end of this cycle because we are the most complicated and sophisticated form of life in existence on our planet. Now it is true that our level of sophistication gives us a competitive advantage (the reason evolutionary biologists give for our existence), but we take this a step further, a humanoid was always going to exist because an intelligent being capable of becoming self aware fulfills a universal principle. The reason life must undergo an evolutionary process is because we exist in the dimension of separation. Here beings not only experience time and space (a product of up/down, left/right and backward/forward) but they also experience many other conditions (e.g. happiness/sadness, need/fulfillment, light/darkness, hard/soft etc.). In such a place things are not in a state of completion but are constantly evolving from beginning to end. Hence we are born small and grow in size; we are born devoid of knowledge and evolve our understanding over time. Our society has been actively evolving from a competitive tribal based mentality to a more unified co-operative one for thousands of years. A unifying world order is not that far away. Our world environmental conditions have evolved from a violent disruptive past (volcanic disruptions, floods, tectonic plate collisions etc.) into a more stable harmonious one. All around us there is evidence that things are evolving into a higher state of being. If we accept that life is special then we must acknowledge intelligence as a truly remarkable event. The ability to contemplate on life, and just being able to ask the question: "why do I exist?" sets us apart from every other creation in our world . Looking back on the evolution of life on our planet we can see that life began as a simplified organism and evolved into a sophisticated intelligent being. Are we to believe this was an accident? Is the creation of Mankind a predestined event and do we represent a universal principle coming into manifestation? In our opinion, the answer is an affirmative YES. Mankind was no accident and by coming into existence we fulfil a predestined event - the creation of a being capable of becoming all-knowing (omniscient), all-powerful (omnipotent), and one with the ability to transcend the limitation of time and space (omnipresent). We are becoming the Universal Mind as it would appear within the realm of separation, we are neering the end of a very long journey. It would take a long time to explain our understanding of Universal Mind and because it is covered in great detail in "The Universal Mind and I - Chapter 3 the Universal Mind and the Chakras" and in greater detail throughout "The Mystic Why", only a rudimental explanation will be given here. Basically, the Universal Mind theory can be conveyed through the principle of opposites. Everything has an opposite. This is a fundamental fact of life. Up has down, left has right, light has darkness and male has female etc. If it is true that everything has an opposite state of being, and nobody can realistically dispute this rudimentary fact of life, then there must be an opposite state of existence to the one we are currently experiencing. That is to say, we exist in the realm of separation therefore there must be a realm where everything is in a state of completion. Just because our universe is all we witness does not mean that there in not something more! Our universe is part of a greater whole, and our realm of separation is but one half of the coin. Does all existence take place within mind? Again this is something else that requires an in depth discussion, however, it is possible for anyone to appreciate that mind is the quintessential ingredient of existence. We could not know we existed, this text could not exist, and your house could not exist without a mind to bring it into existence. However, what if our universe also existed within a mind? Could mind and existence be somehow inextricably interlinked? Not ridiculous, not unfeasible, but perfectly realistic when one considers the complexity of mind, matter, and the existence of things. Life on Earth has been evolving over time to produce the entity we call mankind, not for no reason, but in order to fulfil a universal principle. By bringing man into being there will be two opposite versions of the Universal Mind. There is the one that experiences life from a viewpoint of completion, and the other that experiences life from a viewpoint of separation. This is discussed more fully in "The Universal Mind & I - Dialogue 2, From Nothing to Everything". Could there be an eternal omniscient Universal Mind that exists independent of every intelligent mind within our universe? Although mankind has a higher level of intelligence than the other species we do share a common characteristic, we are all born confused and lacking in understanding. The only difference is that we have the ability to attain the highest level of intelligence and so we are capable of understanding anything. When you consider what it is we are trying to achieve both as a society and as an individual, we can recognise that we are trying to attain omniscience. Science is seeking to understand how the universe functions and spirituality/philosophy is trying to understand why it exists. When these two areas of research are combined it would provide the answer to every question we could possibly ask. Of course our journey is not over yet but we can surely appreciate that we are evolving into an omniscient mind; we are trying to attain universal consciousness. More accurately, we are evolving into a state of oneness with the Universal Mind and we can do this through understanding what we are and what our connection is to the universe. This has always been our mission and it is our ultimate destiny. Why are we evolving into the universal Mind? We exist in the realm of separation, a place where the universal mind is constantly being brought into existence through a beginning and end process. It is unlikely that we are the only intelligent humanoids in existence; there are probably many within our universe. Life on our planet had a beginning and therefore it will eventually be brought to a end, be it in a thousand years or a million years. 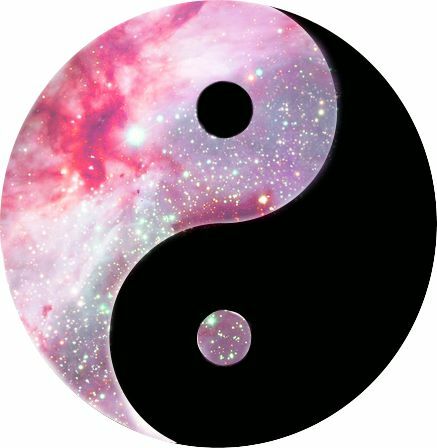 Not one thing in our universe lasts forever because everything that has a beginning must also have an end; it is a requirement of the law of opposites. However, even if our planet is brought to a sudden end tomorrow, one thing is for sure, intelligent life will still exist, or will be coming into existence somewhere else within our universe. Intelligent life is not an accident but part of a universal predestined occrrence. There are always two versions of the Universal Mind in existence at any one point in time. The first version is the eternal version, the one that never experiences the conditions of separation (e.g. lack and limitation or beginning and end). The second version is the one that is finite, appears to have a beginning and end and experiences the conditions of separation. Both these entities represent the Universal Mind on opposite ends of the spectrum. Again, one must appreciate that if everything in existence has an opposite state of being then there must be an entity in existence that exists contrary to mankind, just like anti-matter exists contrary to matter. The Universal Mind is all-knowing (omniscience), all-powerful (omnipotent), and fills all space (omnipresent). Mankind however originated from a point of knowing nothing, limited in what they could achieve, and unable to transcend the boundaries of time and space. However, we are becoming all-knowing, and through technology we are beginning to become all-powerful and via communication devices the limitations of time and space are beginning to fade. In short, we are becoming the Universal Mind as it would appear in the realm of separation, and when we do we will have fulfilled our evolutionary destiny. We are born with an inbuilt need to answer questions that will identify who we are. We are not forced to evolve rather our inbuilt curiosity and need to understand what we are and why we are here propel us into a journey of self-discovery, a journey that can take thousands upon thousands of years, but it is a journey that has an end. There is something we are searching for, some hidden reality we know exists, and now that something is finally being revealed. It has been known for thousands of years that each of us has knowledge embedded within us that can be released through a mechanism called the Chakras. The Chakras are proof of mankind's destiny to become self-aware and so will be the topic of our next discussion.